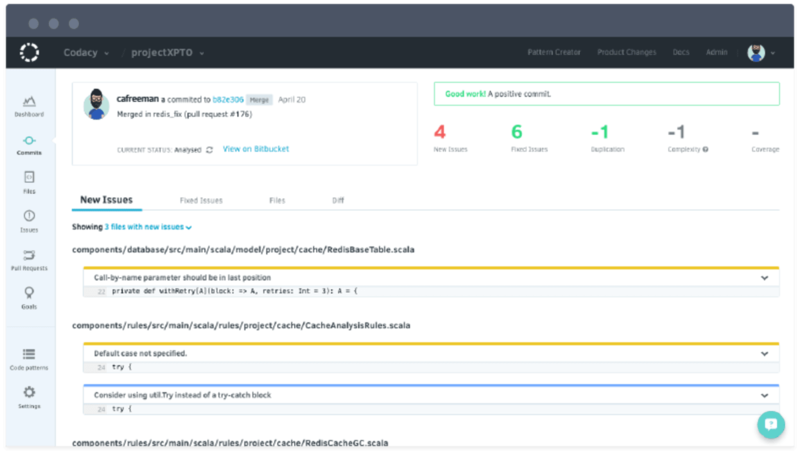 Codacy is an automated code analysis/quality tool that helps developers ship better software, faster. With Codacy, you get static analysis, cyclomatic complexity, duplication and code unit test coverage changes in every commit and pull request. You can use Codacy to enforce your code quality standard, save time in code reviews, enforce security best practices and onboard developers faster. Integrate with your GitHub repositories to get quality analysis of every pull request inside GitHub. Changelog as a service. Simple as that.